Rev. Dr. Renee McCoy counts serving Eastgate CUCC a blessing and a joy. She has been an ordained minister for over three decades. 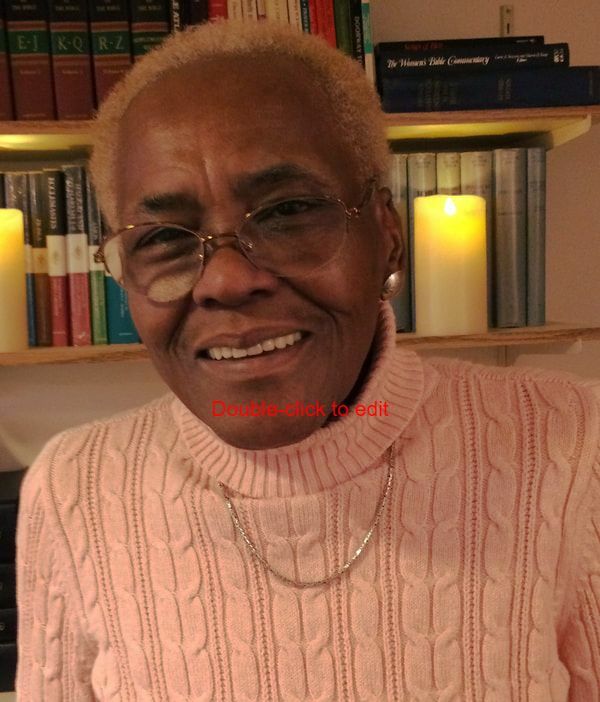 She was credentialed by the Metropolitan Community Churches (MCC), an international Christian denomination with a special outreach and intentional ministry to LGBTQ persons; MCC has existed for over 50 years. Rev. Dr. McCoy has worked in parish ministries in New York City, Washington, D.C., Detroit, Tacoma, WA, and the Seattle/Bellevue, WA area. She is the founding pastor of Harlem Metropolitan Community Church (no longer open) and of Full Truth Fellowship of Christ Church in Detroit, MI, which has served the African American community in Detroit for over 29 years. Her ministry has focused on those most excluded in society, including LGBTQ persons, homeless individuals, youth, and other disenfranchised groups. She has worked in HIV/AIDS since the disease first surfaced in 1981 and has been involved in HIV/AIDS care, prevention, education, and research for more than 30 years. Rev. Dr. McCoy is also a social scientist who holds a Ph.D. in Anthropology with a specialization in Medical Anthropology. She has taught a variety of courses at Wayne State University, Eastern Michigan University, and the University of Washington. She is the former Director of HIV/AIDS Programs for the Detroit Department of Health and Wellness Promotion and the former Coordinator of the HIV/AIDS Behavioral Surveillance Study with the Michigan Department of Community Health where she conducted research that focused on HIV/AIDS risk behaviors. As an independent consultant in Seattle, WA she continues to specialize in HIV/AIDS program design, evaluation, and development, and in ethnographic research among difficult to reach and at-risk populations. She also serves on the Public Policy Team for the Metropolitan Community Churches (MCC) and works to guide and influence global health initiatives. Her life has been devoted to developing and celebrating a positive relationship with God and sharing the Good News of God’s unconditional love for all people regardless of the labels the world places on them, the conditions of their birth, or the challenges they face throughout life. She reminds us that God’s grace is better than sufficient and is always available to bring peace, justice, and prosperity to everyone. Rev. Dr. McCoy has received numerous national and local awards for leadership and service to the LGBTQ community as well as for community organizing and activism. She continues to devote time and energy to encouraging individuals and building healthy communities through participation on a variety of boards and committees. Rev. Dr. McCoy believes “God has worked to make my life remarkable. It can only remain that way when I share how God continues to transform and enrich all of our lives. We were ALL created to be REMARKABLE! We just need a little help remembering that, celebrating that, and learning what to do.” She is married to the Rev. Dr. Patricia Hunter and lives in Seattle with their dog, Baxter. In her spare time, she is a potter, creating functional and decorative wheel thrown pieces, and enjoys fishing.